As the medical engineering community tackles grand challenges like highly specific intracellular drug delivery and complex organ regeneration, strategies employing inert biomaterials passively delivering singular pharmaceutical payloads are often sub-optimal. Instead novel, multi-dimensional strategies need to be developed in order to achieve the next series of biomedical breakthroughs. This special issue will include manuscripts at the cutting edge of new biomaterials technology capable of making considerable impact on the fields of translational immunology and regenerative medicine. Manuscripts should be submitted online through Hapres Online Submission System. Please visit Guide for Authors before submitting a manuscript. Authors are encouraged to submit a paper as soon as it is ready and don’t need to wait until the deadline. Submissions will be sent to peer-review in order of arrival. 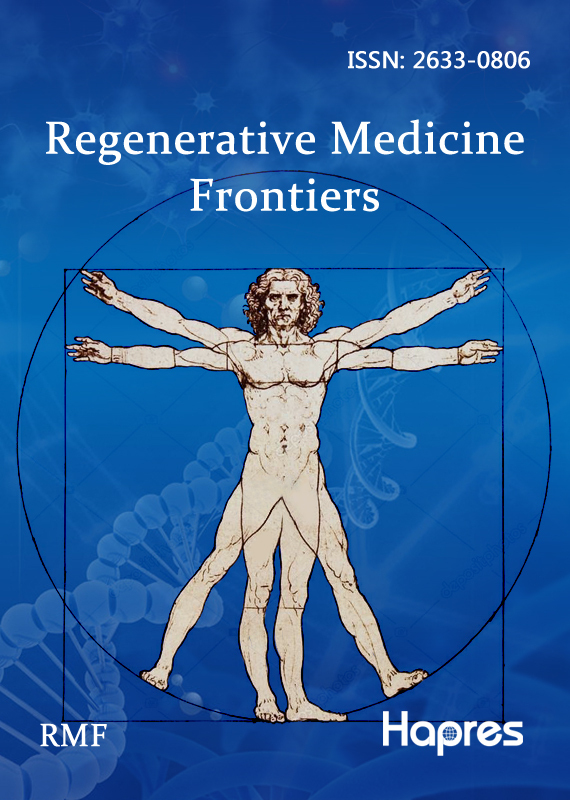 Accepted papers will be published continuously in Regenerative Medicine Frontiers (RMF) and then gathered together on the special issue webpage. We welcome Research articles, Review papers and Short Communications. For planned papers, a title and short abstract (about 100 words) can be sent to the Editorial Office for announcement on this website. Virtual Special Issue (VSI) is a collection of papers centered around a specific topic, led by an expert (Guest Editor) in the field. Virtual Special Issues are an important component of our journal and cover current hot topics within the scope of the journal. All papers belonging to a Virtual Special Issue will be gathered together on a single webpage. They are published in the regular issues of the journal as soon as publishable, and labeled as belonging to the Virtual Special Issue. A link from each paper will take you to the Virtual Special Issue website. Submissions to Virtual Special Issues will undergo the same rigorous peer-review process as regular papers submitted to the journal.